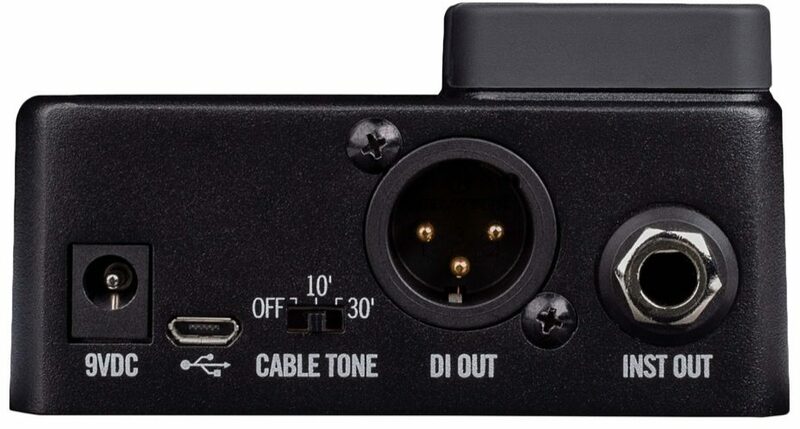 The Line 6 Relay G10S guitar wireless system is as powerful as it is compact. 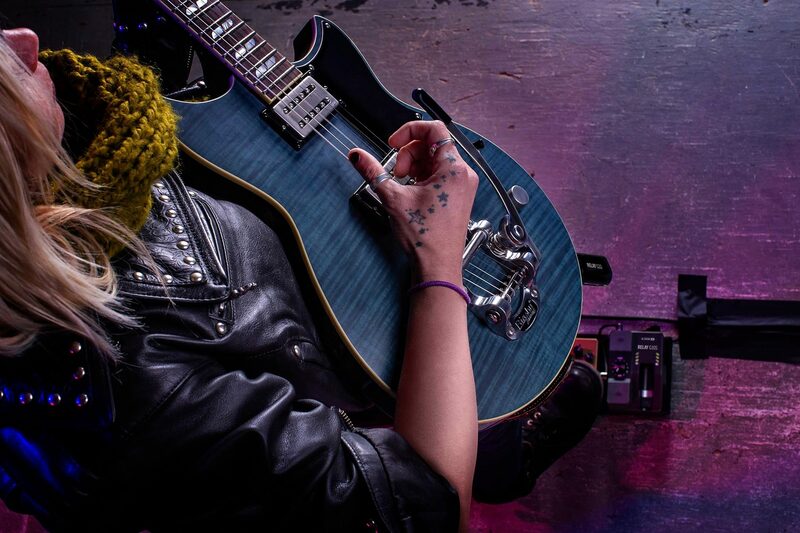 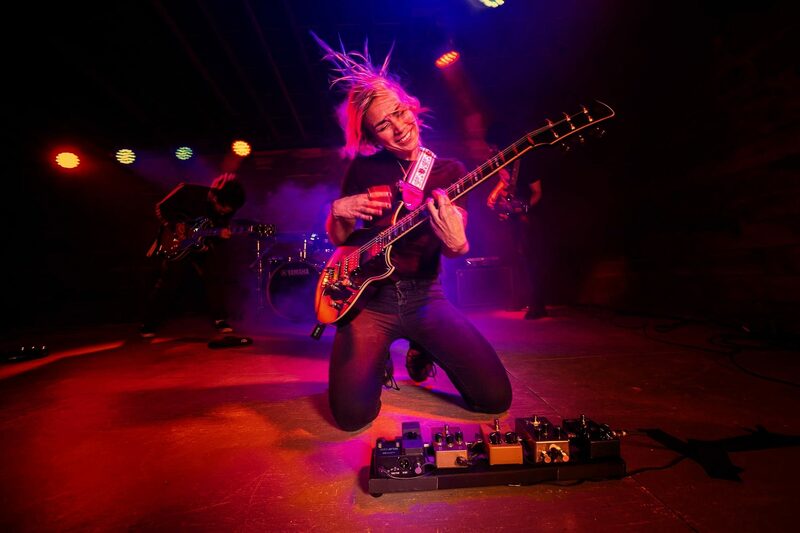 With a rechargeable plug-on transmitter that fits in your guitar's output jack, and a stompbox-sized wireless receiver, the G10S system offers rugged build quality and plug-and-play operation at an affordable price. 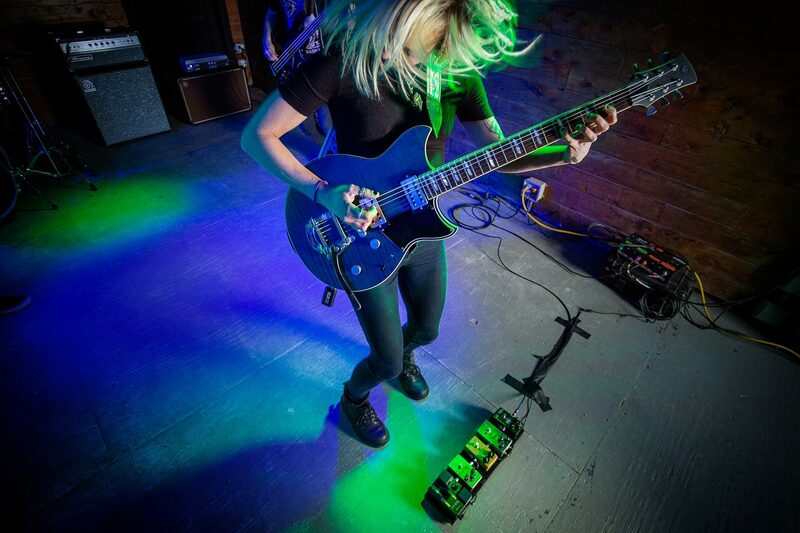 The Relay G10S system integrates seamlessly into any pedalboard or can function as a standalone unit. 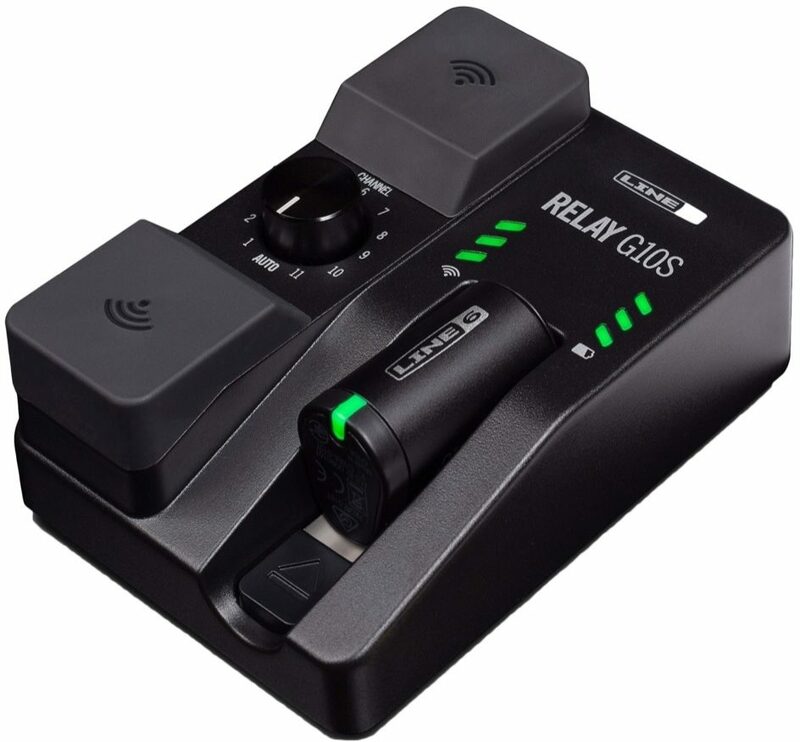 It features an impressive range of up to 130' line-of-sight, enabling you to move about untethered on any sized stage -- and the Relay G10S works equally well with bass. 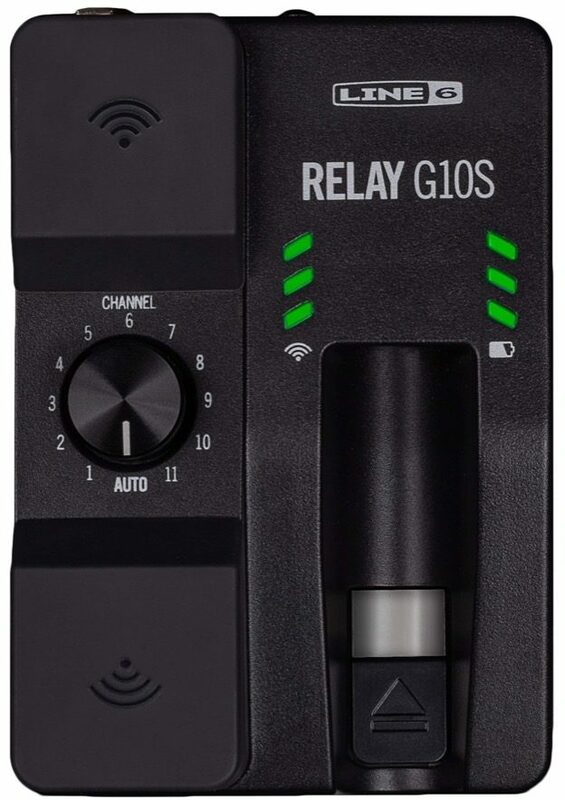 The Relay G10S is part of the Relay Wireless Family, a series of products that are embraced by professionals for their reliability, ease of use, and transparent sound. Thanks to the extensive experience that Line 6 brings to designing and manufacturing wireless products, you can depend on the Relay G10S to provide clear and accurate instrument sound, free from interference. 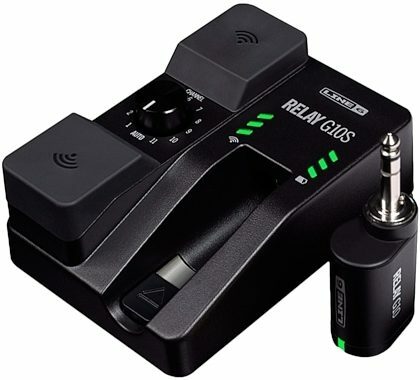 Plus, the Relay G10S is compatible with the Relay G10, G30, G50, G55, and G90 guitar wireless systems. 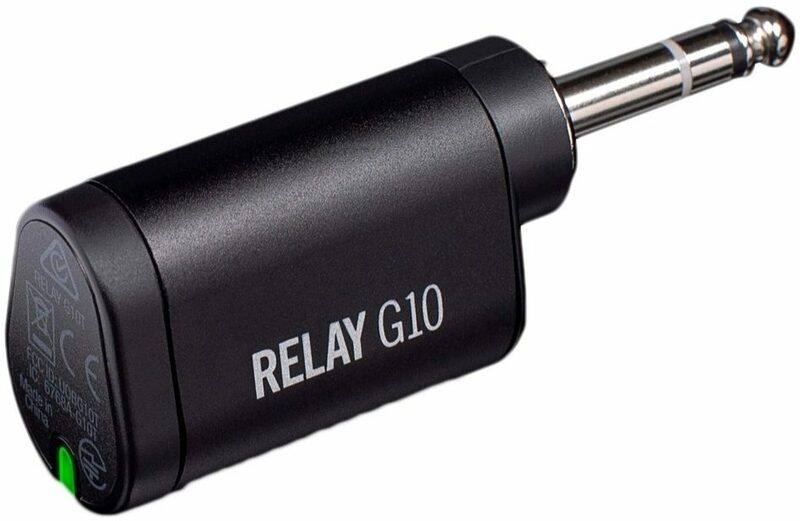 Getting up and running with the Relay G10S is simply a matter of turning it on--no complicated setup required. 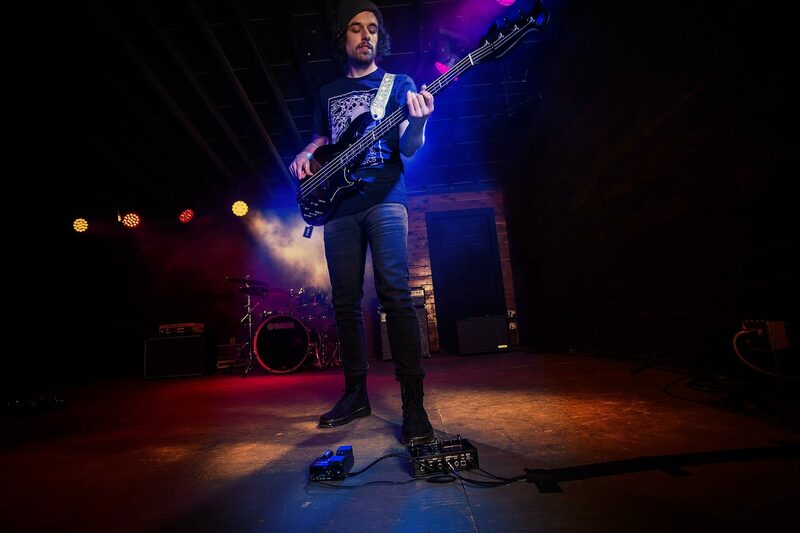 When powered up, the unit immediately locates and locks onto the strongest available wireless frequency, and you're ready to rock. 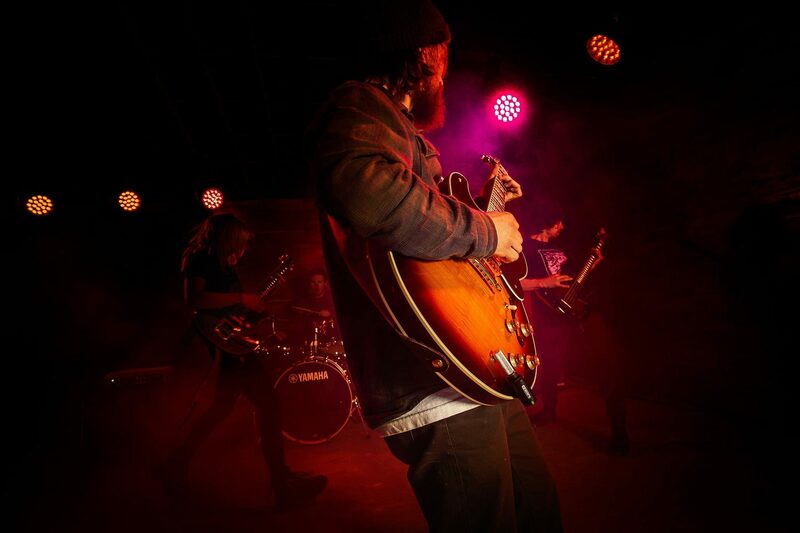 You can also adjust the frequency selection manually, although you'll probably never need to.